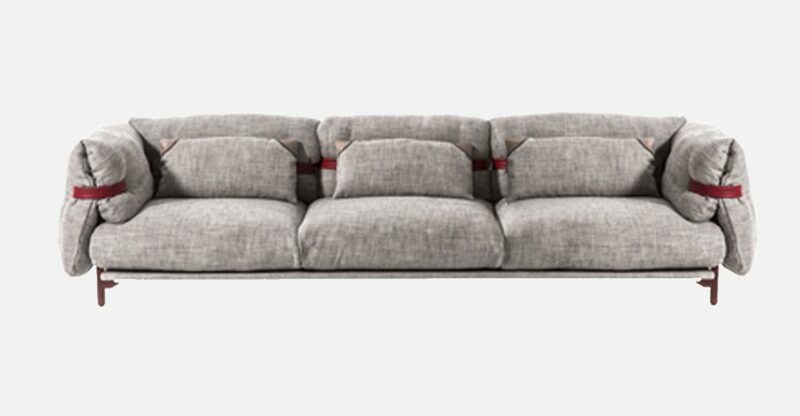 Comfort and softness above all else. 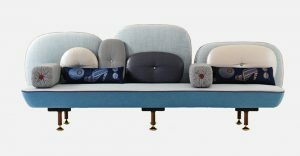 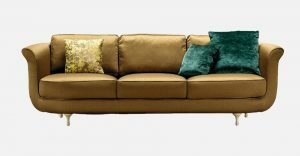 An open-source sofa, a design choice that favours the comfort of the seat, which seeks to look and feel softer and cosier than ever. 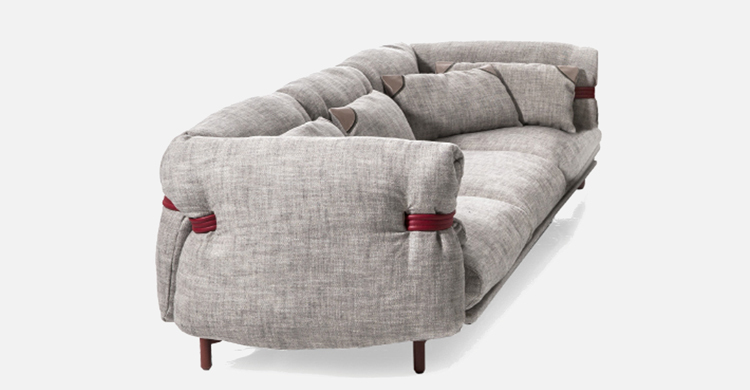 The structure is encircled in knitted belts that interweave with the soft cushions, inducing a state of pure relaxation. 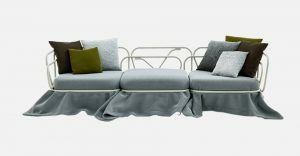 The folded covering emphasises the carefree, undefined shape, further accentuated by the use of knitted fabric for the belts that hold it in place. 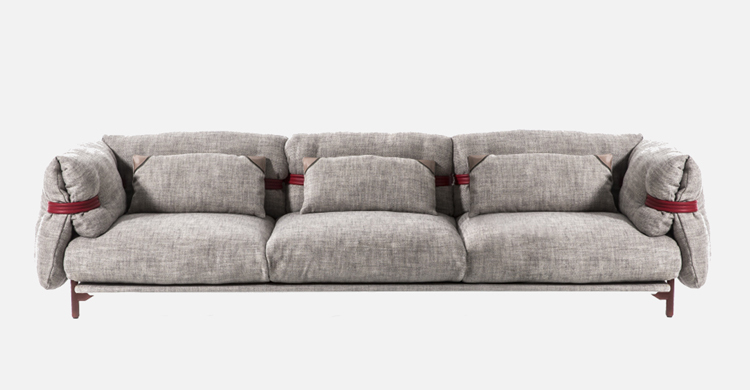 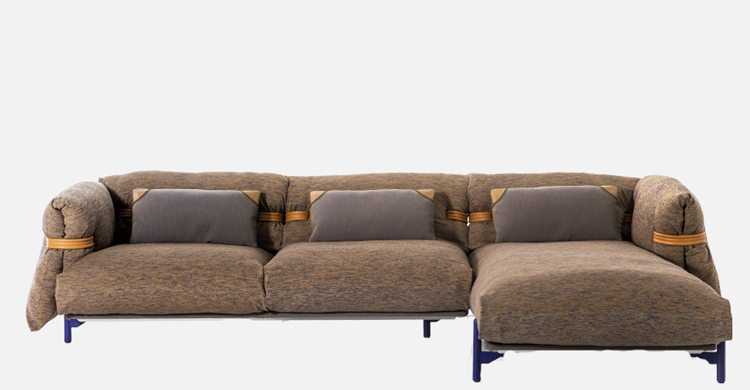 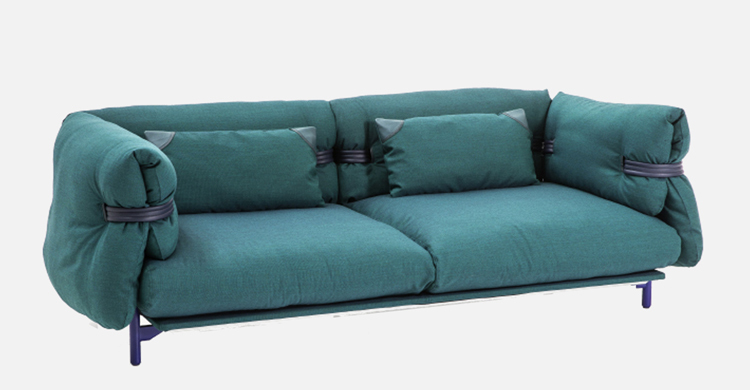 A destructured sofa with an unusual formation: the aluminium frame can be freely assembled, combining the different components, which work together to offer a variety of harmonious customizations.